This post is about RMAN restore from one host to another host. 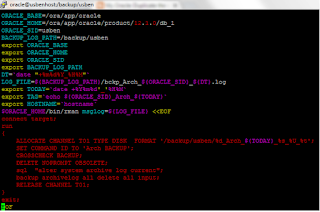 The database will be migrated from file system to ASM disk as part of the restore. There may be tons of post for RMAN restore. But i am not finding the detail level document for RMAN restore with ASM migration. I hope, this fills up the gap and useful for others. 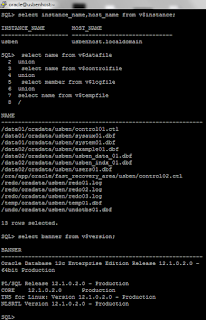 This post is tested in Oracle 12c(12.1.0.2.0). This post could be useful for the following circumstance. 1. The production database server is crashed and no Data Guard standby. 2. You need to test some of the bugs in test database with current production image. 3. Migrating the database from file system to ASM disk in new hardware. I am going to call target database(the place where i am restoring) as auxiliary database, source database as target database. 1. 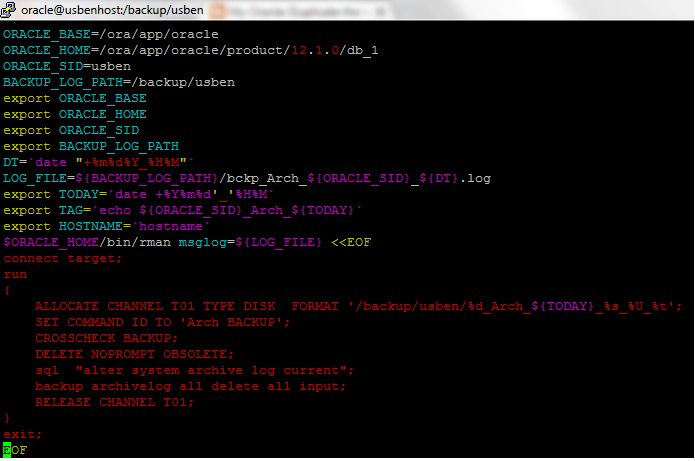 Backup the database in target database server. We can also use recent L0 backup in the tape. 12. Database verification and validation. 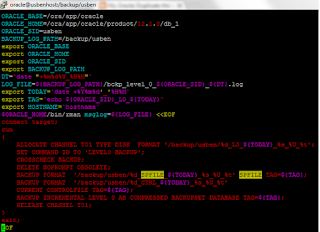 I am restoring the above database to the new host called ractest1. 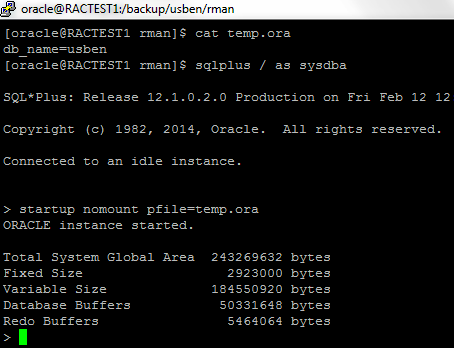 The RBDMS is already installed in ractest1 host and it is same as target database version. Step1 I am using recent RMAN L0 backup and Archive log backup in target server. 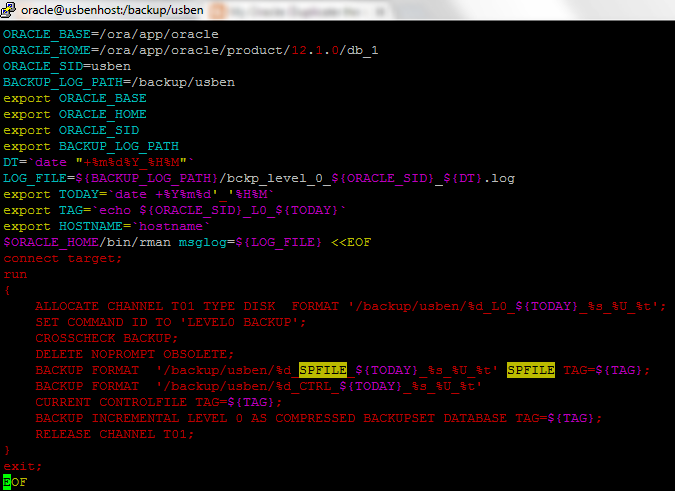 I am using the below script to backup the database in target server. We can also use the recent full backup from tape if it is already available in tape. I am using disk backup for my convenience. 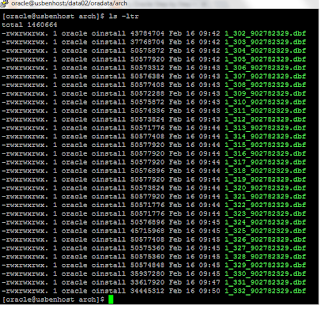 Here is the log file for full backup. Here is the log file for archive log backup. 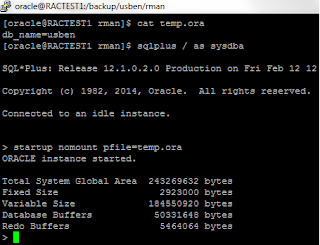 Step 2 Copy the RMAN backup files to auxiliary server. Create the file system directories on auxiliary server. Here i am using the ASM disk. Hence, the file system directories are not needed. I created the directory in ASM disk. The RMAN backup files are coped to auxiliary server as below. Also copy the password file from target server to auxiliary database server. Now the instance is started with temporary parameter file. Let us restore the SPFILE from backup. Create pfile from above restored spfile and modify the parameters according to auxiliary database server. 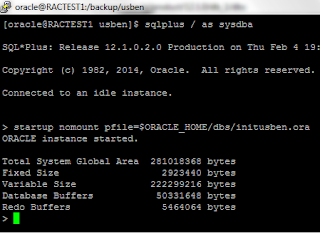 Copy the updated parameter file under $ORACLE_HOME/dbs location. Step5 Restore the control file. 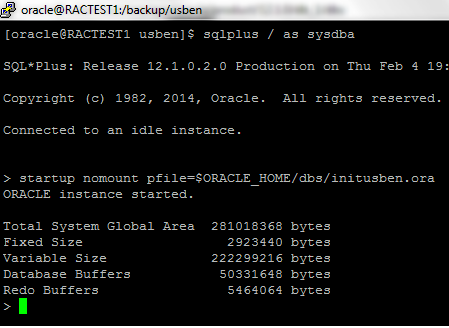 Step 6 Restart the instance with above modified pfile and mount the database. Step 7 Restore the database. Step 8 Recover the database. Now it is time to open the database! We can apply more archive log files if we have.. if not, then open the database with resetlog mode. Let us apply few more archive log files and open the database. We have archive log files between 302 to 332 on target database. These archive logs were generated right after my last archive log RMAN backup. 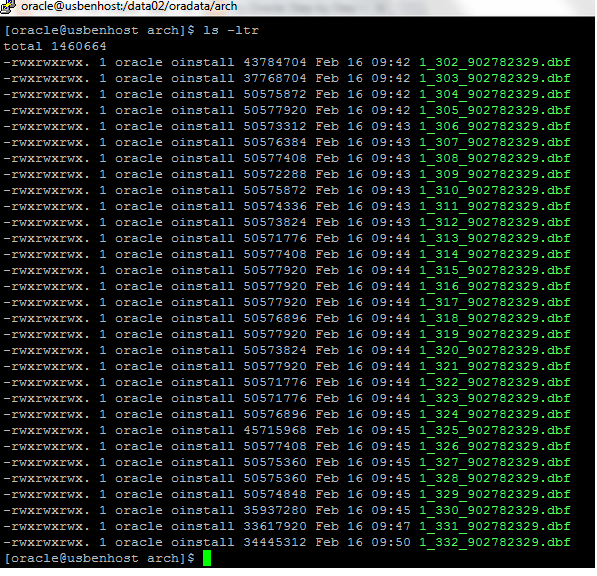 Let us FTP these archive files to auxiliary database server and apply these 31 archive log files now.. I enter AUTO and it applied all the archive log files from #302 to #332. 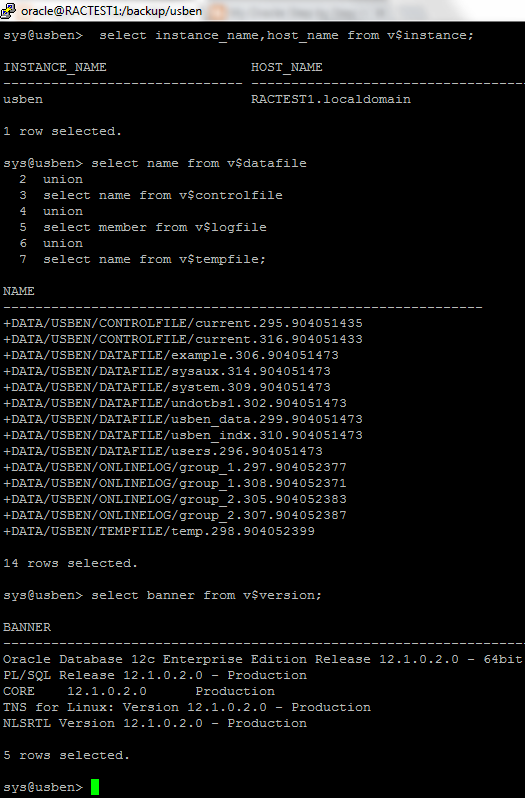 Applied the archive log files till sequence# 322. Step 9 Open the database. It looks like, it is trying to create the redo log file under /redo file system, But apparently, we don't have this file system in auxiliary database. We need these redo log should be created on ASM disk,. Let us drop the above three files and create new redo group in ASM disk. Creating the directory on ASM disk! Creating the new redo logs in ASM disk. Step 10 Create the temp file. Step 11 Create the spfile in ASM disk. We could do this step at the beginning too. However, i do this step at the end for my convenience. -- Here i updated the parameter file to point to SPFILE in ASM disk. -- Restart the database with spfile. Step 12 Verify all the files and make sure all files are moved to ASM disk. Also watch out the alert log for a while. Create the listener and make sure able to connect outside the database server. Now the database is successfully restored in different host. 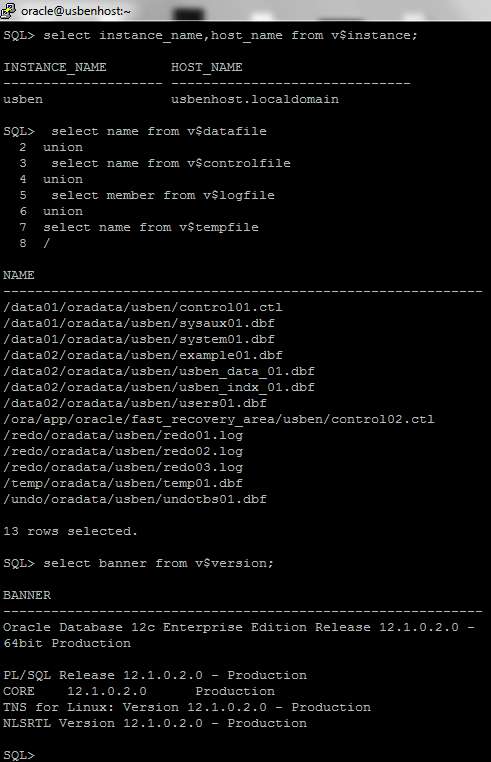 The database is also migrated to ASM disk as part of restore.